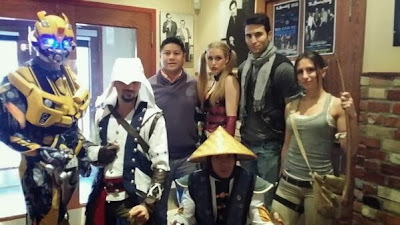 I've always had a great time at any of their locations. Food is great, the staff are beautiful-they really are and it's just a great vibe. If you're looking for a place that is not a club but cool to just chill and enjoy great company and food, JOEY's is your place. JOEY reminds me of a Vegas style restaurants. There is an energy and warm feel to the place. I recently visited the newly opened JOEY Markville location and it has all the same features and feel of the other locations. I encourage you to visit and get a sense of the vibe at the new location. JOEY Markville is located at 1247-5000 Highway 7 East, Markham, Ontario. This is my go to choices when I visit JOEY Restaurants. On a side note stay tuned for the launch of JOEY Eaton Centre Private Dining Area. Coming very soon! Enjoy a bottle of wine with the meat board. Great for sharing. The mashed potato spring rolls are my favourite. Must try it. I'm not sure but this might be new and exclusive to Markville location. Key Lime Pie. Spray the lemon. Thanks to JOEY Restaurants, I will giveaway a $100 Gift Card to JOEY Markville. Tweet me to WIN! 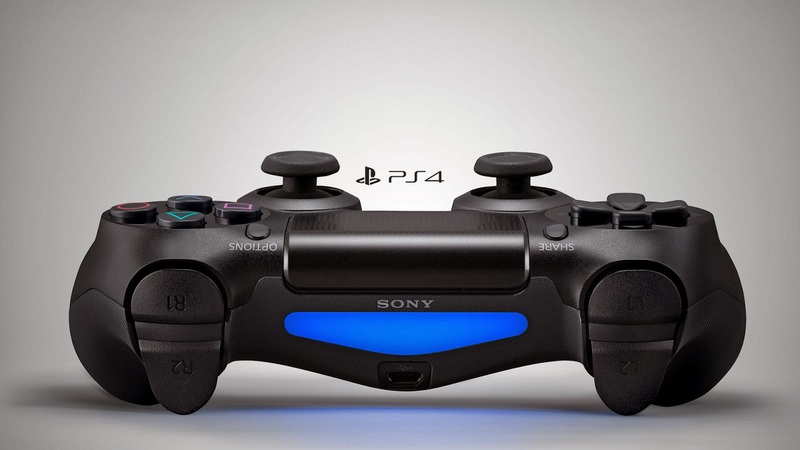 Last night, Best Buy Canada launched the release of the PS4 console. The launch in Toronto had various giveaways, a DJ and folks playing on the new PS4. Customers can bring in previously used consoles and trade them in for a Best Buy Gift Card. Check out the bestbuy.ca estimator calculator to see the estimated value in gift cards you can receive. To help celebrate the launch of the Sony Playstation 4, Best Buy has given me the Ultimate Gamers Package for one lucky Twitter follower. The package includes new PS4 games, and plenty of snacks to munch on including some chocolate bars to boot! This package is worth over $200. I have a lot of gamer followers on my tweet streams so make sure to enter for free. Don't share this post with others if you want to increase your chances to WIN! I'm kidding, share away if you can. 155 Redpath - How do you make it a Neighbourgood? from 155 Redpath on Vimeo. The folks at 155 RedPath which is a condo project by Freed at Yonge & Eglinton are having an Ipad Air Giveaway. They're promoting a feel good vibe in the neighbourhood by promoting random acts of goodness in the area. To find out more about this initiative visit the hashtag #NeighbourGood to see what others are doing in this area in Toronto. This is a great way for the new development 155 RedPath to become a great new neighbour in the area. I already know that they are located next door by one of my great friends and one of the most social savvy hairsalon's Evoke Salon. Haiyan Twitter Fundraiser for Red Cross Canada. 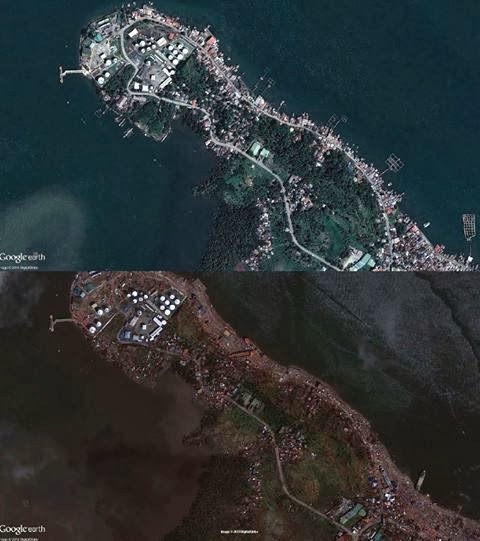 One of the largest typhoons to hit the Philippines happened recently on November 6th, 2013. It is known as Typhoon Haiyan or as "Yolanda" in the Philippines. This Typhoon Haiyan has devastated a region consisting of numerous islands and left many fellow filipinos helpless and displaced from their homes. The early media reports are reporting over 10,000 dead while current documents state about 2,000 dead. No matter what the final count is, it is truly a catastrophe of the human race and I am personally saddened to witness numerous accounts being shared on the news, word-of-mouth, and through social media… this is my family homeland. I have been sending messages through my social channels and have also made a monetary donation but still feel like I need to do more. 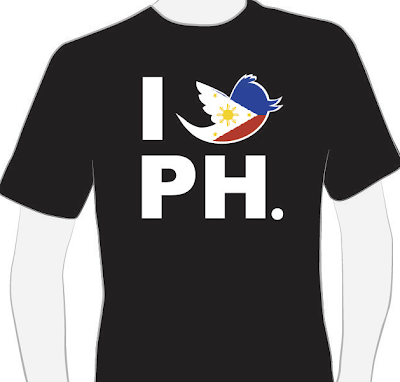 I wish I could be in the Philippines to give support in anyway possible but that is not a reality at this time. The only way I feel i can help is by raising funds to support the relief efforts. I have chosen the Red Cross Canada as the organization in which I will donate 100% of the proceeds raised through my 5 day Twitter initiative. It's a small contribution given the magnitude of the devastation… but every little bit counts!! Before and After Google Images of Tablucan in Philippines. The highest bid amount each day will get a custom tshirt with their Twitter name on the back and a full tax receipt received via email immediate after the donation via email. My goal is to raise at least $500 total which in place will be matched by the Canadian government. This monetary donation will help Red Cross fulfill relief efforts in the Philippines. If you cannot support monetarily, please help by retweeting or spreading the message around. This is just as helpful so that people become aware that their is a need for help. I hope you can support in any way that you can. Maraming Salamat! The winner can send me a screenshot or email of their tax receipt to receive their custom tshirt. Thanks again for your support. If you do not want to bid for a tshirt but just want to donate and support, Canadians can help by donating to the Canadian Red Cross fund All 100% of funds will go to support the Haiyan efforts. Red Cross Canada has 100% transparency with donations. You can also text REDCROSS to 30333 and a $5 donation will be sent. 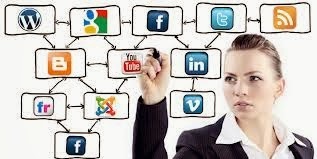 Are you starting to dabble and show interest in a career in Social Media? You may have heard of the term, "Community Manager" which seems to be a term that is evolving rapidly and being appreciated more by enterprise and small business. This conference for community managers will be the first of it's kind held in Toronto. Get informed and inspired but some of the leading community managers from brands and organizations. Learn about emerging platforms, techniques and real-life case studies and best practices that can occur in community management. Why: Learn and Network with like minded individuals. TomTom Nike+ Sport Watch Giveaway. 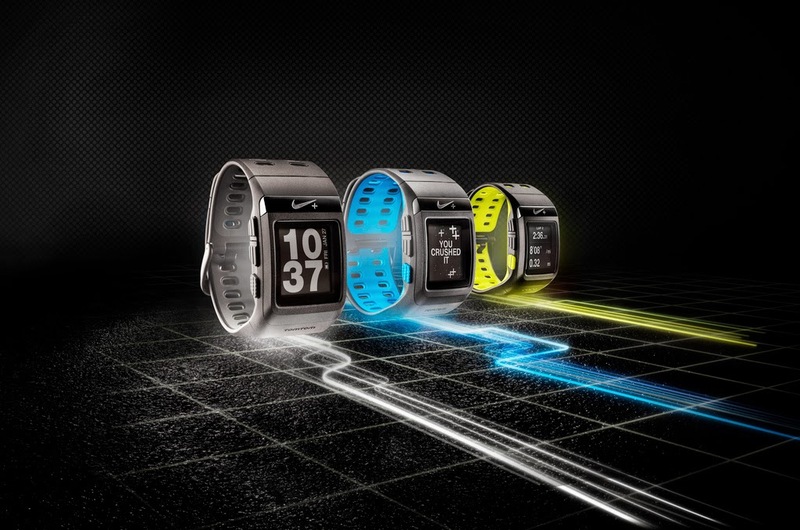 With the evolving trend of wearable tech the TomTom Nike Sport Watch GPS offers you a new running experience. 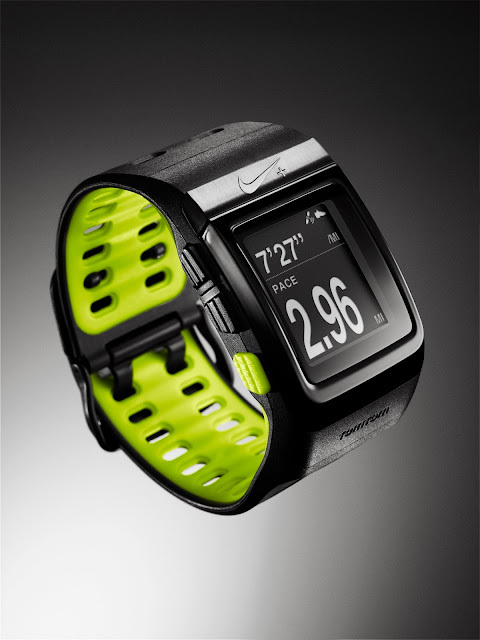 The TomTom GPS receiver works in tandem with the shoe-based Nike Sensor to deliver highly accurate pace and distance data while running. Adds personalization and motivational features to the running experience, including audible sounds, challenges, run reminders and more. Connects directly via your PC or Mac to www.nikeplus.com. This watch will keep you motivated by keeping record of your run history. You'll be able to see your run history and see your progress according to your goals you set. Thanks to TomTom and Nike they have given me the opportunity to give one of my Twitter followers a Nike+ Sport Watch GPS powered by TomTom. All you have to do is tweet for a chance to WIN. Did you know that your cell phone is 18 times dirtier than your toilet? We all use our smartphones everyday and enjoy the functionality of our devices. We wake up and the first thing most people do is check their phones in the morning. We live in a connected world but have you ever thought about the cleanliness of your smartphone? Watching the video above gave me the goosebumps because it's really gross right? All these phones have bacteria and germs. We just can't see it through normal human sight. Yuck! 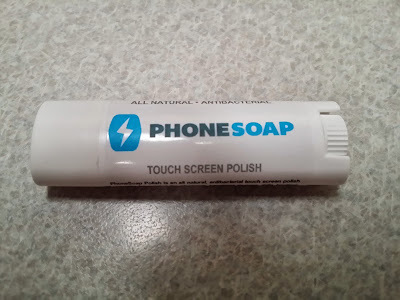 Recently I had the opportunity to review PhoneSoap Charger. 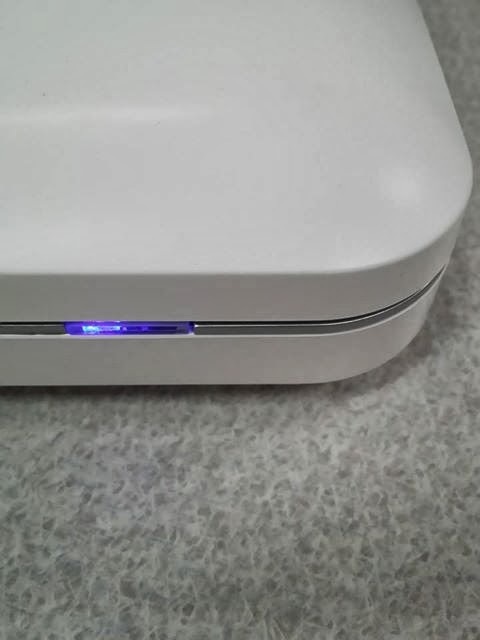 What is PhoneSoap Charger? PhoneSoap Charger is a cell phone charger that sanitizes your phone. Two powerful UV-C lights eliminate harmful household germs such as cold and flu. The video pretty much explains the details of this product. Attach your phone with your charger and insert into the unit and let it do it's thing for about 5 mins. Voila! You have a clean phone. Honestly I do not see anything different but according to the PhoneSoap folks it kills 99.9% of the bacteria. PhoneSoap Polish is another product from PhoneSoap. It is an oleo-phobic screen coating that repels fingerprints. Apply it on your phone by using the stick and smudging it with your fingers. For best results it takes over 24hrs. I did not see a big difference or change with this use but maybe i'm a clean guy already. You can view the products at the link below for more details.